All photos by Richard Dallett. 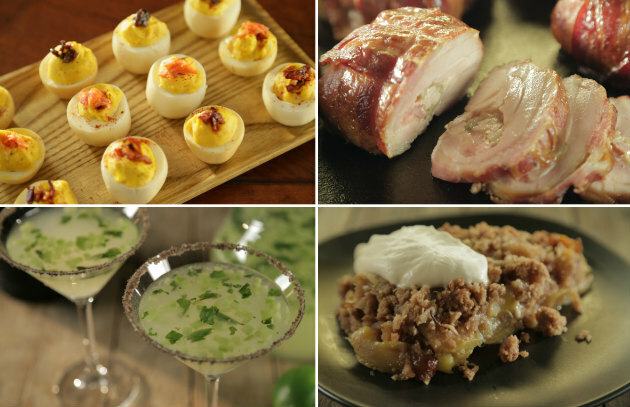 We have a better option: Fire up your grill for a fabulous Mother’s Day brunch. That’s how we roll at my house. Start the meal with a jubilant Project Smoke Mezcalini. 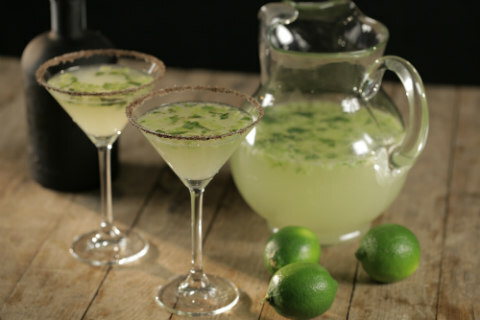 Think cross between a margarita and a mojito with a blast of wood smoke. Think cool mixology tool in the form of a handheld smoker. I discovered the Mezcalini at the rooftop dining room of the Casa Oaxaca Hotel in south-central Mexico. Extra points if you rim the glass with smoked salt. Next up? 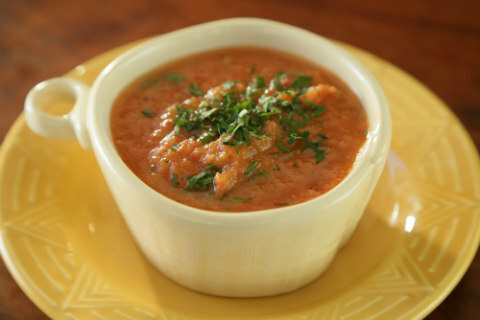 Smoked Gazpacho. You can smoke the veggies the day before and puree them just prior to serving. Looks great in a shot glass and it will definitely make Mom’s day. 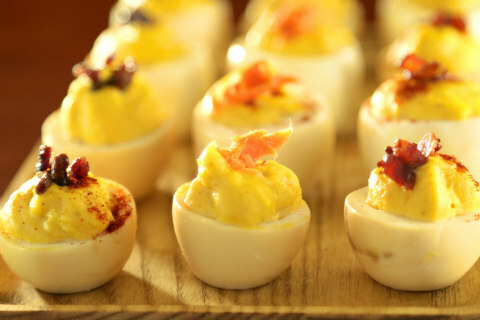 Now you unveil a platter of Smoked Deviled Eggs—a big hit on the set of Project Smoke. (Season 2 starts airing Memorial Day weekend on American Public Television. Check with your local station for air times.) Top them with slivered smoked salmon, and you’ll have Mom eating out of the palm of your hand. Bacon, Ham, and Cheese Chicken Thighs may sound like pure Americana, but the inspiration actually comes from Serbia. 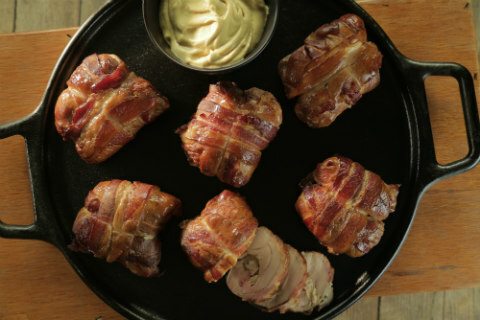 Nothing too heavy: just grilled boned chicken thighs stuffed with smoked ham, pickles, and piquant cheese and tied with butcher’s string into savory gift packages. Assemble the day before to streamline your routine the day of the brunch. Another dish that can be prepared a day ahead is a colorful grilled vegetable platter drizzled with a Balsamic-Soy Glaze. Finish strong with fruit-forward Mango Macadamia Crisp with Smoked Ice Cream. A happy Mother’s Day to all the mothers on Planet Barbecue from all of us at BarbecueBible.com. 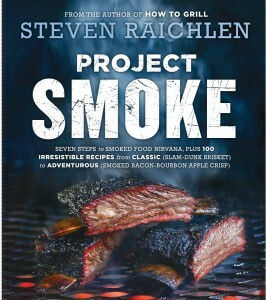 GET THE BOOK, PROJECT SMOKE.